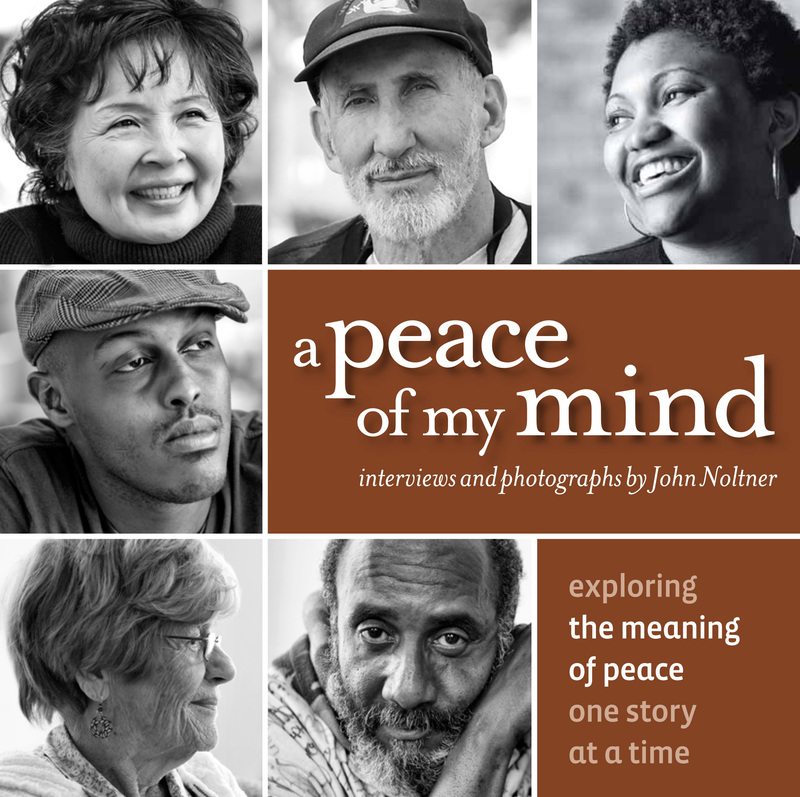 A Peace of My Mind is a multimedia arts project built around the simple question, “What does peace mean to you?” Founded in 2009 by award-winning Minnesota photographer John Noltner, the project began as his effort to rediscover humanity in an increasingly polarized world. With portraits and personal stories, ordinary people reveal extraordinary insights into how we can work toward common good and create a world that is more just for all. Holocaust survivors, refugees, artists, former prisoners, teachers, immigrants, veterans, and more share inspiring stories of compassion, forgiveness, and transformation in a series that celebrates our common experience and sense of community. The stories have been shared here at apeaceofmymind.net, in two award-winning books, and in traveling exhibits that are installed across the country. A Peace of My Mind serves as a powerful catalyst for community conversations about service to others, civic responsibility, and social change. A compelling storyteller, John Noltner draws on his journey of discovery and the stories he has encountered along the way to lead engaging workshops, seminars, and keynote presentations.